We’ve been showered with big names premiere lately at Bolting Bits, and while we appreciate all this heat sometimes a bit of fresh air is more than welcome. 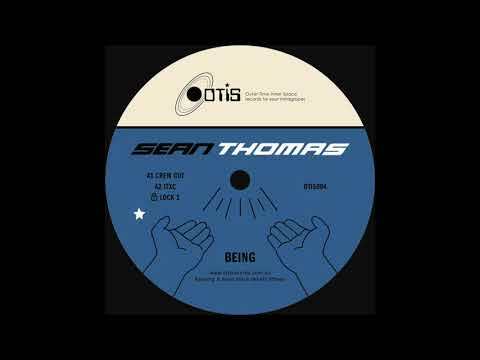 Meet Sean Thomas, producer of the fourth release on the Australian label OTIS, back at it after having released Otis001. We’ll advise that you keep them all on your radars.Hate it or love it summer is almost done, beach parties with a prosseco in your hand is always a great thing but we at BT think it’s time to bring the intensity, the urgency, of partying back up a notch. We miss the sweat dropping from the ceiling in the haze of it all. Let’s go deep.The ep opens with Crew Cut, a steamy cut of deep house. Airy hi-hats and a high pitched string supplement a loopy bassline, timeless chord pattern and a pounding kick. With the occasional vocal one-shot the track feels instantly recognizable in its influences while retaining a strong identity. Following is ITXC, the track we are proud of premiering today. Enter the dance softly thanks to looping and dubbed pads with a subby bassline smelling strong of early drum n bass, not unlike previous releases on the label. Surprisingly enough the track follows up with a straight kick movement although there are some trace of breaking drums lurking in the background. Is it a set opener or closer? Maybe it’s perfect for the rush hour at peak time? It seems to us that this track will make its impact whenever you play it and that’s possibly its biggest quality. Plus there’s a reference to « that » bird sample… Who doesn’t love a bit of meta-quoting? B-side opens with Being, taking a similar approach to the aforementioned IXTC while going more to the leftfield part of the spectrum. A gorgeous track meant for special moments. Enhancing this recipe, the closing track Actuall explores more techy and minimalist territories for a subtle introspective journey. It feels like floating on a cloud and should mark a strong impression with the right soundsystem.